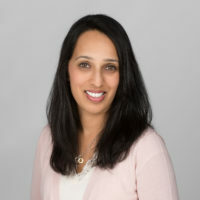 A native Californian, Aparna Iyer is board-certified psychiatrist who treats an adult population. She is currently an assistant professor in the Department of Psychiatry at the University of Texas Southwestern in Dallas. She works in the psychiatric emergency department of Parkland Hospital in Dallas. She also has a private practice in Frisco, Texas. She completed her residency in psychiatry at Albany Medical College in Albany, NY, where she also served as chief resident. She remained on the department’s faculty, serving as an assistant professor, member of student counseling services, and attending psychiatrist prior to moving to Texas. Dr. Iyer’s enjoys working in emergency psychiatry and academic medicine, including teaching physicians in training. She is particularly interested in psychodynamic psychotherapy and women’s mental health, particularly during the pregnancy and postpartum stages. After some particularly fulfilling experiences working with underserved and indigenous populations abroad, she has a longterm interest in serving in medical clinics in underserved and rural parts of India.